Summer gives us some of the best days of the year. 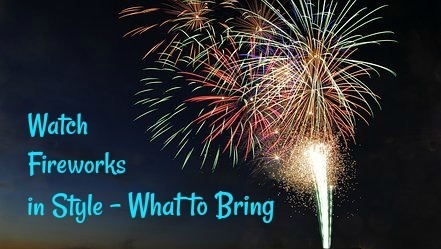 Picnics, BBQ’s, swimming and the beach – these are things that make summer days so wonderful. 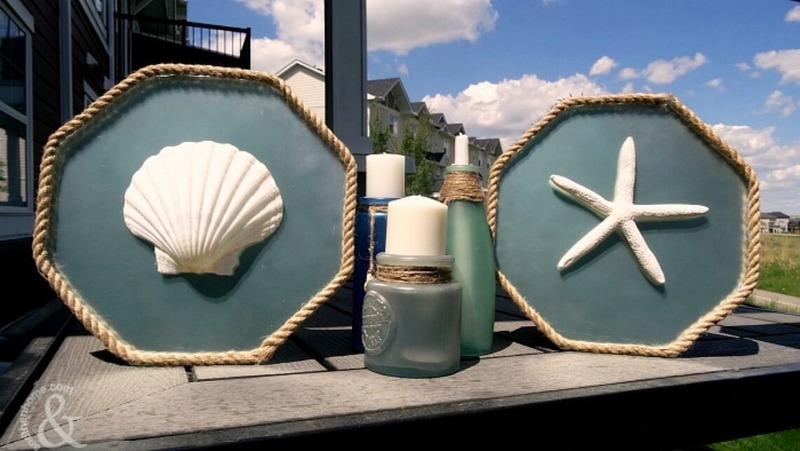 Bring the fun of those warm, breezy days inside by decorating your house with some beachy accents. Use all the inspiration that the ocean have to offer. 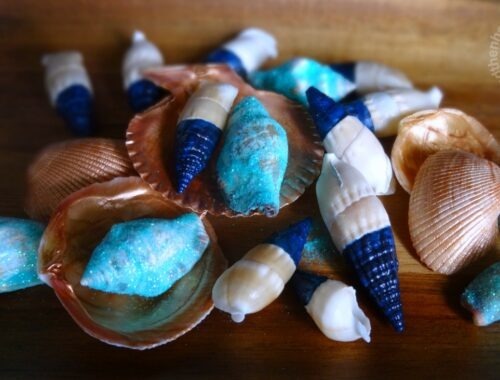 Starfish, shells, nets and twine can all make beautiful, nautical decorations. 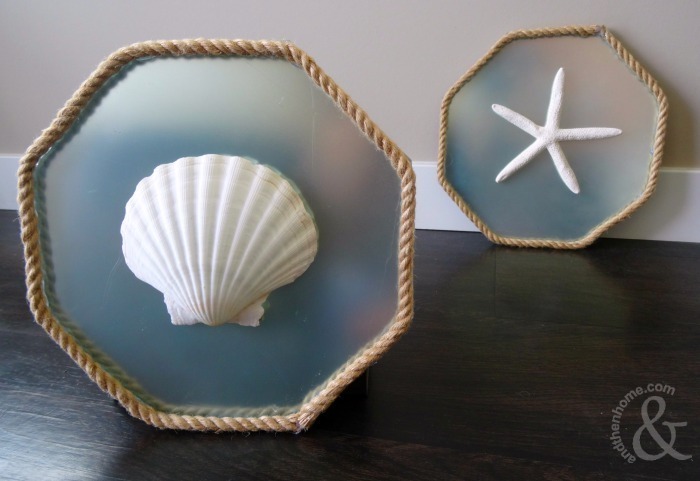 These 3 Step Easy Mirror Beach Decor pieces are the perfect DIY project to bring a little bit of the beach into your home everyday. 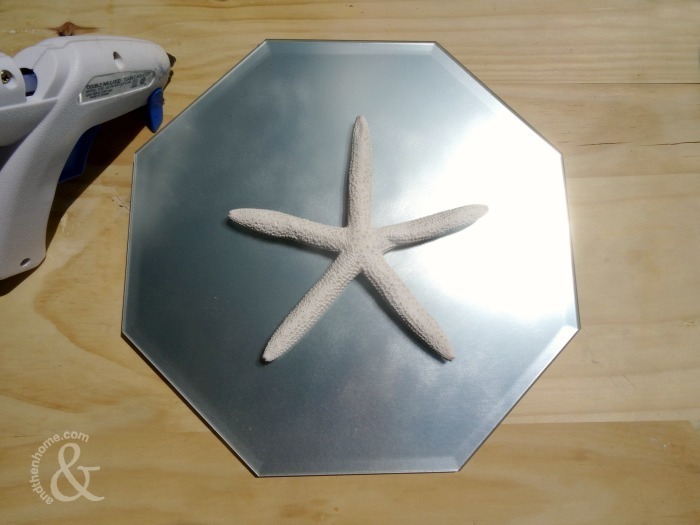 Coat the mirrors in a couple coats of spray-paint to give a frosty, sea-glass finish. 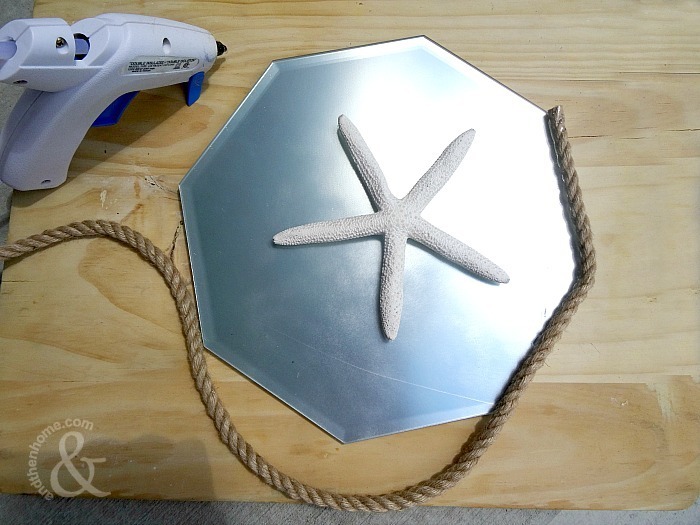 Use some hot glue to attach a large shell or starfish to the centre of the mirror. 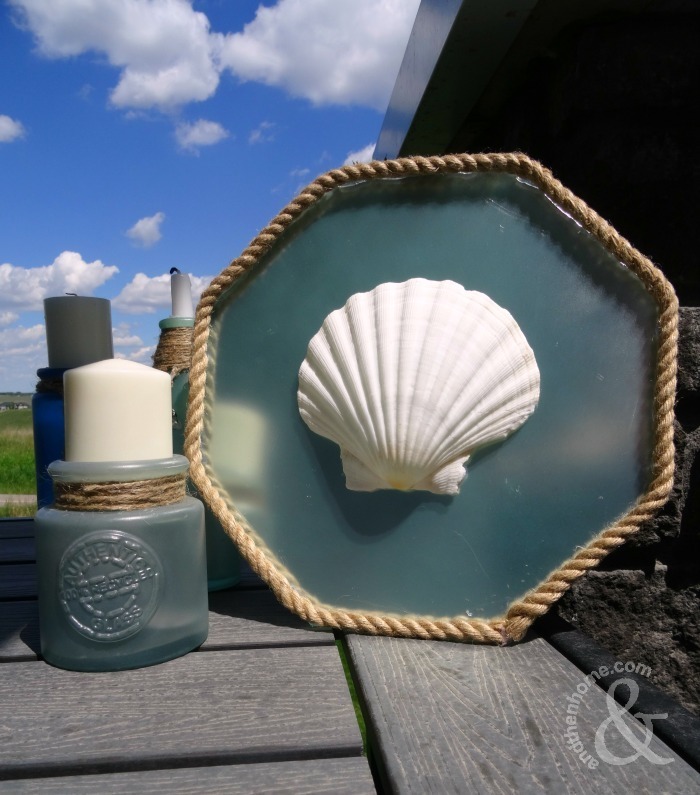 Glue the twine around the outside of the mirror. All done!! Remember, don’t get tide down, life’s a beach!